US researchers announced that they had found a new way of predicting on a patients who at risk of having imminent cardiac emergency through the blood testing. They noticed the oddly-shaped blood cells on the patient who had a heart attack. The Scripps Translational Science Institute (STSI) study found out that the endothelial blood cells from the patients who experienced heart attack are abnormally large and misshapen, sometimes appearing with multiple nuclei. According to the study published this week in Science Translational Medicine, that the indicators of an impending heart attack could make reliable. STSI Director Eric Topol said, "The ability to diagnose an imminent heart attack has long been considered the holy grail of cardiovascular medicine." As many Doctors tradition of identifying risk factors of heart attacks such as smoking, obesity and high cholesterol -- that can put patients at greater danger, but cannot predict imminent attacks. The study gather fifty (50) patients who showed up at emergency rooms with heart attacks at four acute care hospitals in San Diego, California, and who were found to have the unusually shaped cells. Researcher Raghava Gollapudi said, "With some additional validation, the hope is to have this test developed for commercial use in next year or two." Gollapudi added, "Right now we can only test to detect if a patient is currently experiencing or has recently experienced a heart attack." 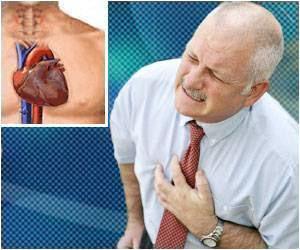 We all know that Heart Attack is the number one cause of death in the world, and that was also according to the Center for Disease Control (CDC). Comments or suggestions about "US Study: Heart Attacks can predict through blood test" is important to us, you may share it by using the comment box below.